Empowerment weaved into and through the fashion industry is the new new. 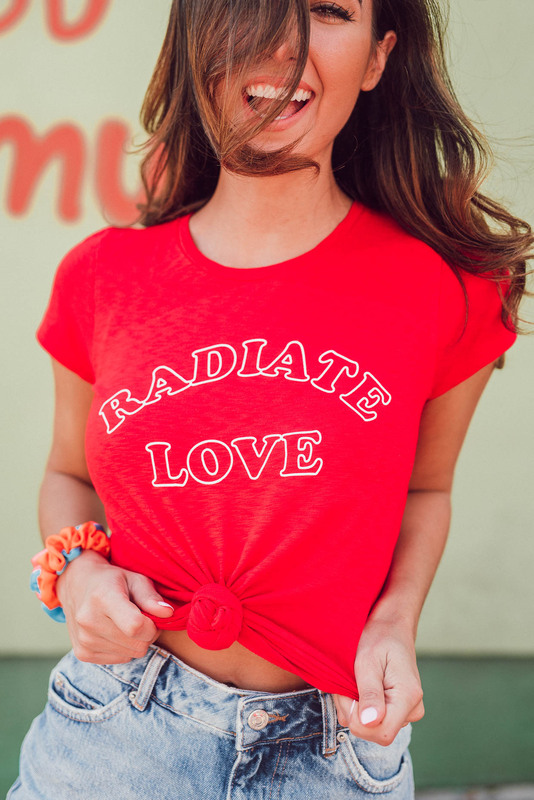 You know I’m all about it, especially after the release and launch of our clothing line that’s created to empower and stir joy and grace. But it’s not just me that’s all about wanting to outfit my wardrobe in encouragement. 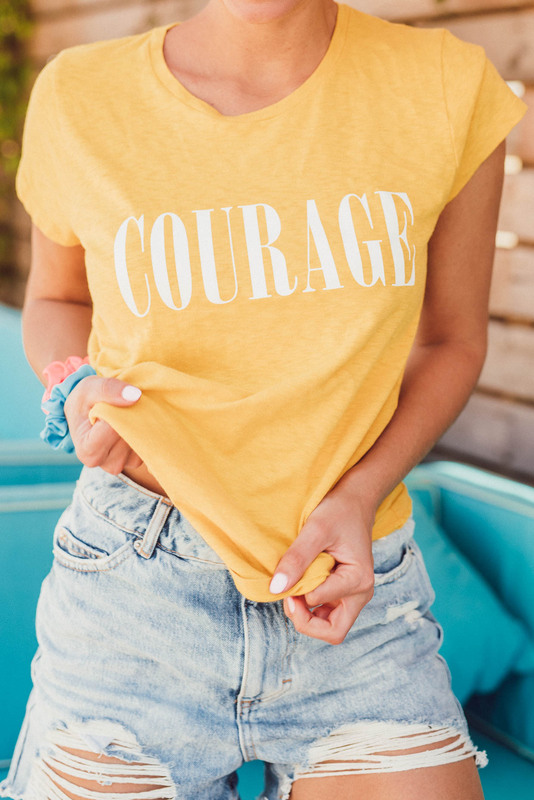 When Express came to me with their closet full of empowering tees, I immediately was smitten with their personal power messages–especially through soft-to-touch / affordable pieces. Plus, most of them are buy 1, get another 50% off! When it comes to girl boss plans and chasing after my goals, it takes a lot of courage for me personally to chase after my dreams. A lot of what I do with my mission, my blog, my ministry and more boils down to not acting on impulse but carefully planning out my next moves in my career. After time passes and the details have set into place, it’s go time. This allows time for plans to change if they’re wrong, or if they don’t lead to a solution that’s fruitful. Does chasing after my dreams make life scary? Absolutely. I have a payroll, I have a following; there’s a lot of pressure involved in entrepreneurship. Do I get fearful? Yes ma’am, or sir. But it’s those challenging moments of fear and in contrast: courage that strengthens me, my perseverance and my mission. I’ve learned my biggest lessons through failure and I have fought and overcome my largest battles through falling down – getting up and trying again. But the next time: I’m all the wiser from the speed bumps of the journey. If I could encourage you in anything today, don’t be afraid to follow your dreams. But make sure to wait, be still, listen, plan, create, and rest in your ideas before taking them into action. And for me – I’m excited about what Express has to say to echo the above with their new empowering tee line. And for you – this just in: you can get $25 off any purchase of $100 or more on Express with the code 8125. Enter it in when you’re checking out – terms and conditions apply see here for more details. I styled these girl power tees around South Congress during SXSW – playing with pops of colorful walls and wearing cheesy big smiles paired with Express tees. Styled with nothing but the casual best: sneakers and denim (find Express denim shorts here) – I’m declaring these tees my spring-to-summer everyday ensemble. 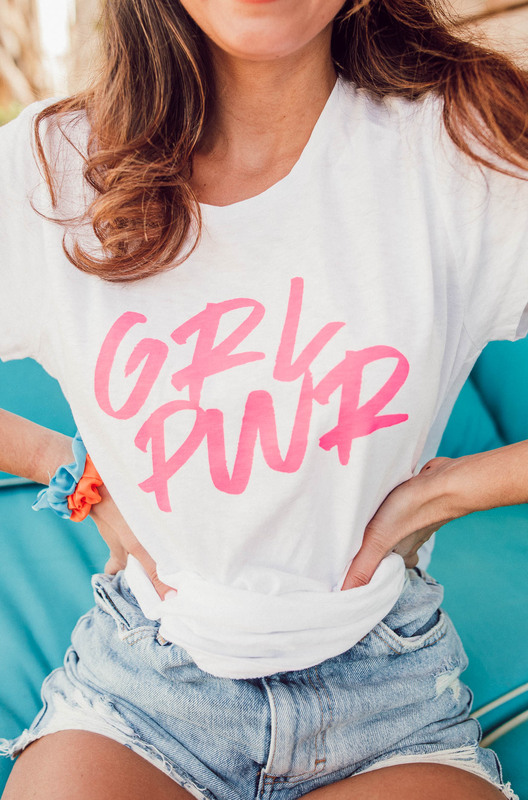 Shop Express’s empowering tees here! Thank you, Express, for sponsoring this post! All opinions are my own. These tees are all so cute! !